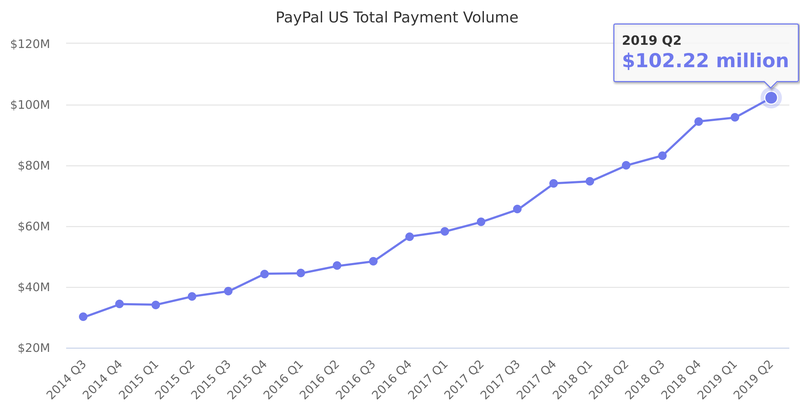 Included in Total Payment Volume. Last reported quarter 2018 Q3 it was $83.24 million, up by 27% year-over-year from $65.46 million. From $196.25 million in 2016 it increased by 32% to $259.19 million in 2017.